It was my first weekend of cake baking for customers, and while this wasn't the first order I received, it was the first one I baked last weekend, so I decided to start with this one. And it's just so pretty! For my first cake, a friend asked for a birthday cake for her mom that would serve 20 people or so. Although a sheet cake would have been much easier, I really wanted to try a tiered cake, so after doing my homework on tiered cake support systems, I crossed my fingers and hoped for the best that the tiers wouldn't collapse on each other. After Suzie and I discussed the flavors that her mom liked, we decided on a coconut cake, with strawberry filling between the layers, and coconut buttercream. Instead of showering the cake with coconut flakes, I decorated it with buttercream flowers in some of her mom's favorite colors. I assembled the cake with dowels and a cake board to support the upper tier, since she was going to be driving the cake a ways to the party, so I wanted to be sure that it wasn't going anywhere! 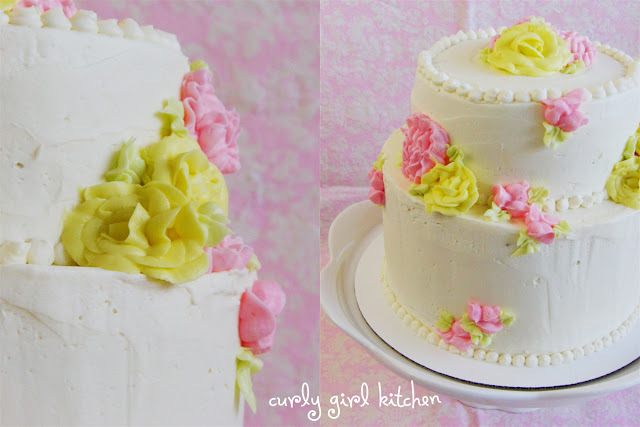 And although while looking at the photos I realize that my pink carnations don't really look like carnations at all, and I could have smoothed the buttercream out a little better, Suzie reported that the party and the cake were a big success! Since this is a really big, complex cake, I've included two options below: one for making the cake as pictured here, and one for a simpler, classic design. It can also be easily cut in half if this much cake isn't needed. Option A - Spray the bottoms only of three 8-inch pans and three 6-inch pans; line with circles of parchment paper then spray the paper as well. Option B - Spray the bottoms only of six 8-inch pans; line with circles of parchment paper then spray the paper as well. In the bowl of your stand mixer fitted with the paddle attachment, combine the cake mix, coconut, coconut milk, eggs, vanilla and coconut extract. Mix on low for 30 seconds to combine, then on medium for 2-3 minutes. Divide the batter between the pans; if using 6-inch pans, only spoon half as much batter into those as you do into the 8-inch pans. Bake until golden and a toothpick comes out clean, about 17 minutes for the 6-inch pans and 22-25 minutes for the 8-inch pans. Place the pans on wire racks, cover loosely with a clean kitchen towel and cool completely in the pans. In the bowl of your stand mixer fitted with the whisk attachment, mix the butter on low for 30 seconds. In a separate bowl, combine the powdered sugar with the meringue powder; add by spoonfuls to the mixer while it's mixing on low. Add the vanilla, coconut extract and milk, then increase the speed to medium and whip for 4-5 minutes until very light and fluffy, scraping the bowl as needed. 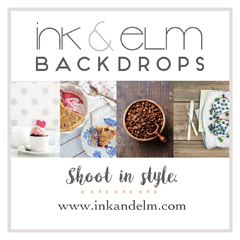 Remove all the cakes from their pans; using a knife or a cake leveler, level the tops of each cake, reserving the scraps for another use, such as Cake Truffles. Option A - For the tiered cake pictured above, you'll be starting with the 8-inch cakes on the bottom, then adding the 6-inch cakes on top. 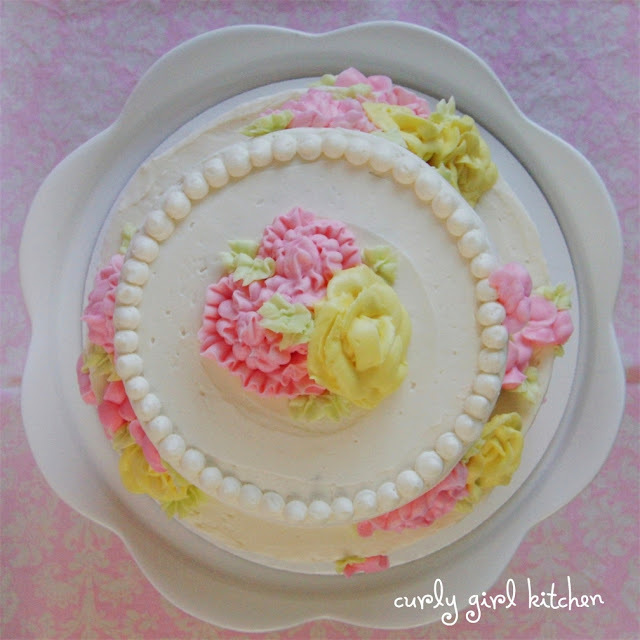 You may not need the third 6-inch cake; I ended up only using 2 of them. Because this cake was going to be picked up by someone and transported via car to a birthday party, I had to make sure it was very stable. After stacking the 8-inch cakes, I inserted 4 wooden dowels (I simply used wooden grilling skewers that I cut to length with clean wire cutters) through the layers, then placed a 6-inch plastic cake board on top. (I poked a hole through the center of the cake board, so that after the cake was stacked, I could further reinforce it with a long dowel straight down the center.) I then stacked the 6-inch cakes on top of the cake board, then finished by inserting the long skewer down the center, through the hole I'd poked, all the way to the bottom of the cake. This ensured that the cake would not topple or collapse. 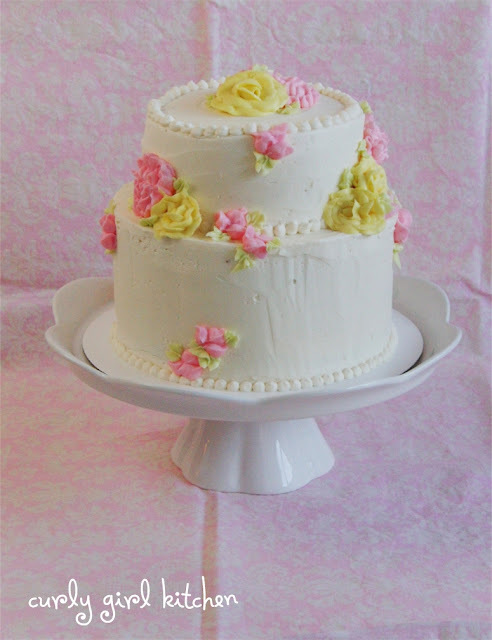 Option B - For a tall, non-tiered cake, simply stack all of the 8-inch cakes. If the cake is going to be consumed right away, and will not be transported anywhere, then it isn't necessary to reinforce it with dowels. However, due to the height, it absolutely is necessary to reinforce it if is going to be moved, and I would recommend following the above method of reinforcement with wooden dowels, then an 8-inch plastic cake board after 3 layers, followed by the other 3 layers, and a tall wooden dowel down the center of the whole cake. Place the first layer of cake, bottom side up, on a 10-inch cake board set on top of a lazy susan. Spread a thin layer of jam over the cake, then place the next layer of cake on top, making sure it's even and level. Repeat filling and stacking the cakes, following the instructions above for reinforcement. When the cake is assembled, frost all over with a thin crumb coat of buttercream, then place in the refrigerator to chill for 15 minutes. Finish frosting the cake. 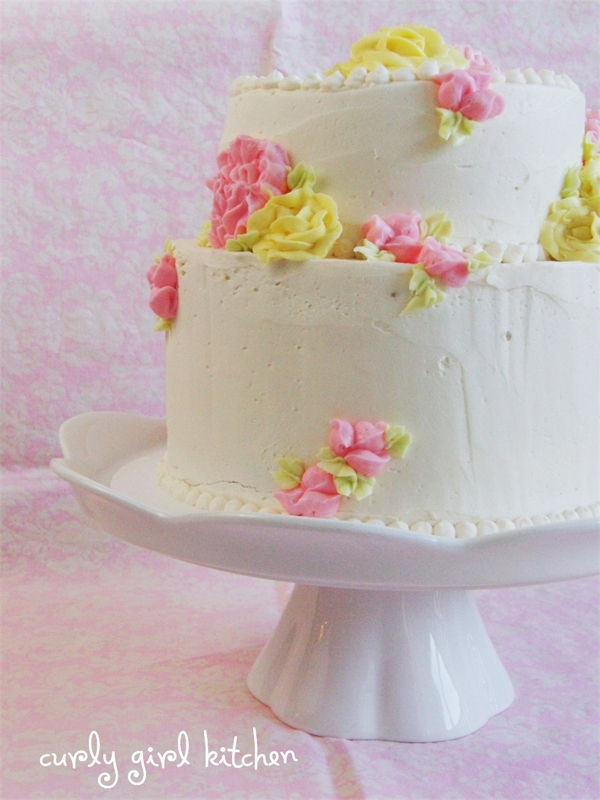 Option A - At this point, I took the buttercream leftover from frosting the cake and tinted it various shades of pink, yellow and green, for the flowers and leaves that you see above. Option B - For a classic look, sprinkle sweetened coconut flakes all over the top and sides of the cake. I tried this recipe yesterday using the simpler smaller options. This is the most delicious cake I've ever tasted period!